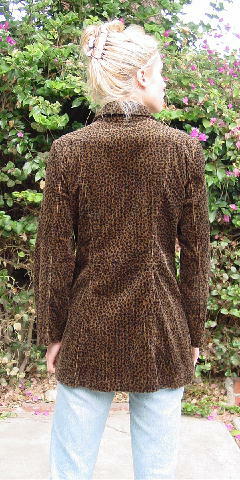 This vintage animal print 6-button double breasted corduroy jacket has 2 front side slant pockets. It has a big collar and labels. 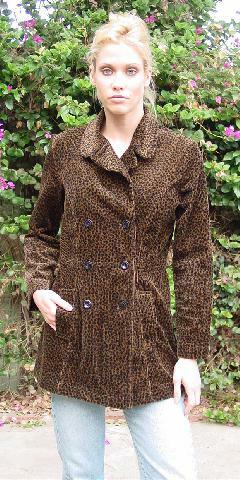 Because of its long length, it looks great with long straight skirts, pants, or even jeans. It belonged to a California model. side to side at bottom hem 20"